Fantastic Top floor 3 bedroom apartment in historic Argyll Mansions Oban in the heart of the town. Fabulous views over the harbour and to Kerera and Mull. Argyll Mansions is a Victorian listed building described as one of the finest Victorian tenements in the West of Scotland. 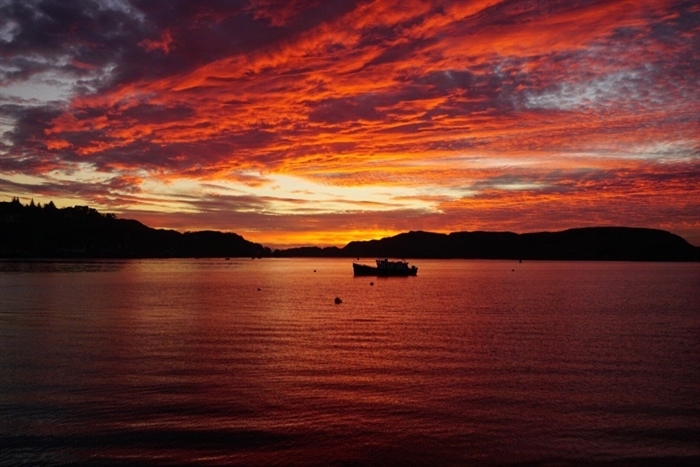 The apartment is the most central and ideally placed as you could get in Oban. 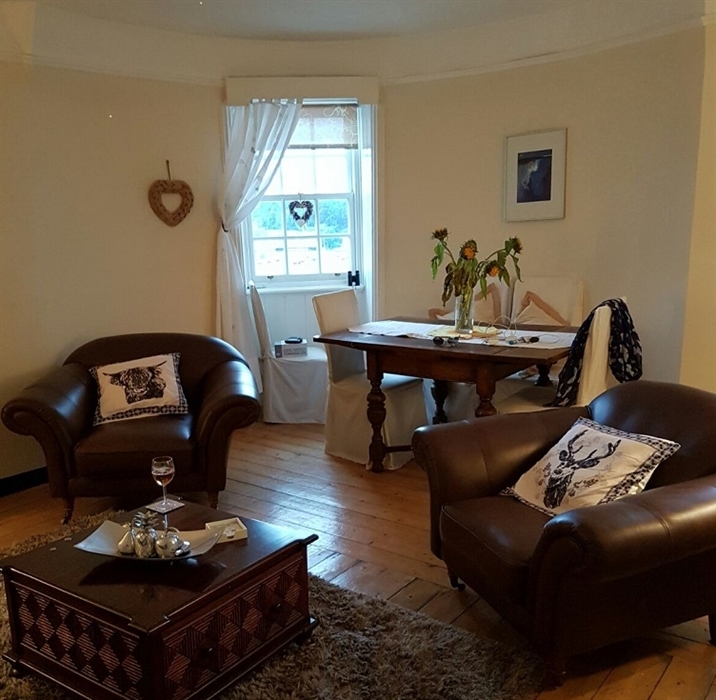 Accomodation sleeps 7 and consists of 3 large double bedrooms, bathroom, shower room, fully equipped kitchen and large sitting/dining room with flat screen TV and free WiFi. 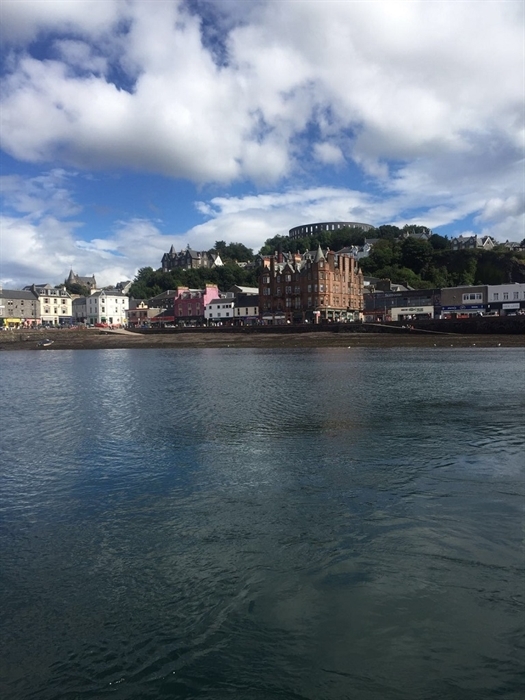 The Iconic and imposing Argyll Mansions sits directly on the harbour front and all of Obans amentities and attractions are on your doorstep including the vast array of bars and restaurants. We are directly on the harbour front with restaurants and bars to suit any taste literally on the door step. The famous Oban distillery is a stones throw away and well worth a visit. The apartment is perfectly placed for all travel options with bus/rail and ferry terminals a 2 min walk away. As the apartment is in a Victorian listed building there is no lift/elevator and being on the fourth floor be aware there are approximately 90 steps to the apartment (although the views are worth it) so it may not be suitable for the elderly or infirm. Private parking is not available but there is a pay car park 100 yards behind the apartment which is free Saturday afternoon and all day Sunday. Alternatively there is a large free car park at the Tesco store which is a 5 min walk. Tesco is also the ideal place to purchase everything you will need for your stay from groceries to clothing if need be.